The holidays are a particularly difficult time of year for most people who’ve experienced a relatively recent death in the family. It’s supposed to be a time of celebration and a time to spend with family, repeating traditions that might go back to your own childhood. But if a family member has died, you might find the holidays particularly devoid of joy and your traditions impossible to continue. 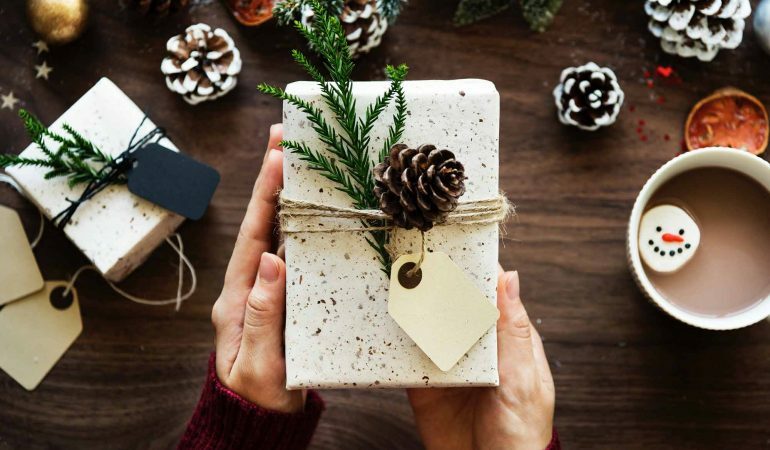 As you navigate your first, second or even fourth holiday season following the death of a spouse, a sibling or a parent, you’ll need to think about what holiday traditions you should (and can) continue. You can’t expect your holiday traditions to remain entirely unchanged—in many ways, everything changes following the death of a close family member. There will be traditions that you have to shed… but also the opportunity to build new traditions that will, years from now, become just as cherished as the old ones. As you work on planning your holidays and finding ways to infuse the season with joy, here are some ideas to successfully building new traditions. Every family is different, but no holiday traditions are entirely solitary. When your family has experienced a shattering loss, it’s important that everyone be on-board with both which traditions to skip and any new traditions to start. If you usually spent the holidays with your parents and siblings, for example, but your mother recently died, make sure to include your siblings and your father in discussions about how to spend this holiday. If your spouse died, talk with your children about how they’d like to spend the holidays and what is and is not important to them. Tradition isn’t just about the big holiday meals. It can also be a particular song you listen to, or making a certain kind of cookies. Holding on to small rituals can be comforting in the face of major loss, and they can help you feel connected to your loved one who’s gone. If your family had a cherished tradition that your deceased loved one spearheaded, see if someone else in the family will take the lead this year—or do so yourself. It won’t be the same, but continuing a cherished tradition with a new twist is a powerful way to both build new traditions and remain connected to your loved one’s memory. Chances are you didn’t love every aspect of your former holiday traditions, anyway. Now you have an opportunity to create new traditions. Maybe your mother always cooked ham for Christmas dinner—and you don’t like ham. Maybe your spouse always wanted to go caroling but you hated being out in the cold. The holidays are a busy time and most families have trouble fitting in all the activities they want to do. You have the opportunity to focus on the activities that you really enjoy—or that you’ve always been curious about—instead of doing what you’ve always done before. The truth about traditions is that they’re not static. Our holiday plans change from year to year, as do our lives. We might have a new significant other, leave home for college or spent a year abroad. Just because you do something this year doesn’t mean you have to do the same thing next holiday season, too. If your loss is recent, you might find the holidays too overwhelming and be tempted to skip them altogether. That’s an option, too—and it doesn’t mean the holiday spirit won’t be back next year. It’s natural to feel our loved ones’ absence particularly acutely during the holiday season, as we’re faced with changing traditions and altered family dynamics. Building new holiday traditions doesn’t mean you’re forgetting your loved one—it just means you’re finding new ways to move forward.